Timeless modern design classics by Rolf Heide. Stackable bed, usable as single and double bed. Material: robust, durable beech plywood. Delivery without slatted frame and mattress - please order separately! Comfortable, practical and appealing. For more than 50 years the design classic by Rolf Heide convinced with its timeless design and practicality. The Stacking Bed (Stapelliege) is fast and space-saving stacked as easily as it transforms into a comfortable guest bed. In the children's room, wich works on daytime as playground, the Stacking Bed proves to be extremely convenient. For the younger generation there is the Stacking Bed in a separate version for children. Made of sturdy plywood - available in ash, walnut, birch or lacquered beech. 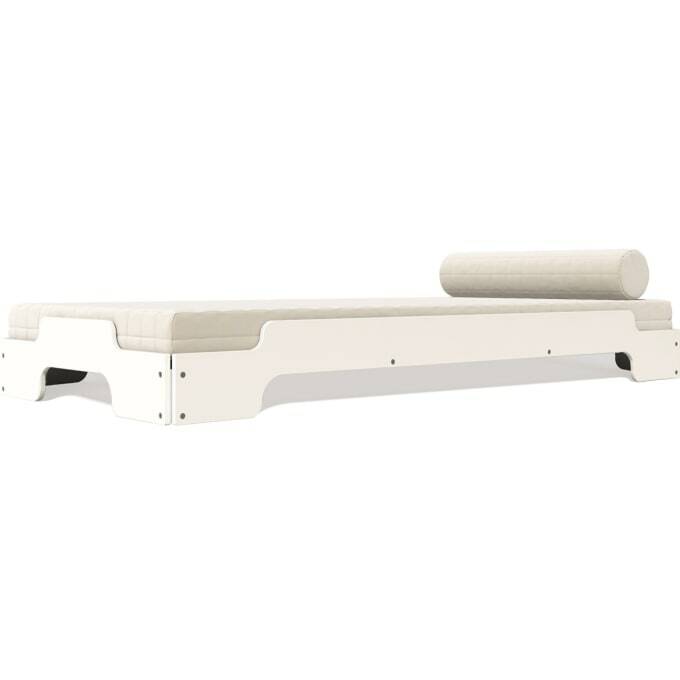 Also available in our shop: The Stacking Bed in convenient comfort height. Custom designs are available on request! these furniture collections have been created in close cooperation with well-known designers. Do you have a question about "Stacking Bed"? How can we contact you?